All main courses are priced per person and include your choice of two side items unless otherwise noted. All build-it-yourself bars are priced per person. We are now serving authentic Texas inspired BBQ! We are slow smoking chicken, ribs, brisket, kielbasa and pork with real cherry wood and sugar cane until it is "fall off the bone" tender and loaded with that amazing down south BBQ flavor. sides are 2.29 per person unless otherwise noted - other side choices may be available that are not listed. please ask for your favorite! 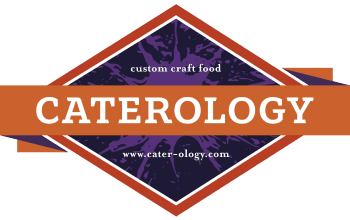 Caterology can craft special menus for holiday parties and any other occasion. We often go "off menu" to meet the needs and the themes of our customers' big events. So when you need that special item and you don't see it on our menu, just ask--chances are we have already done something just like it!